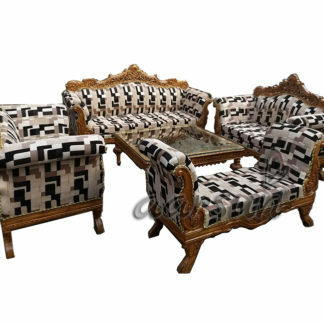 Aarsun Woods brings to you modern and comfortable wood sofa set for your living room. 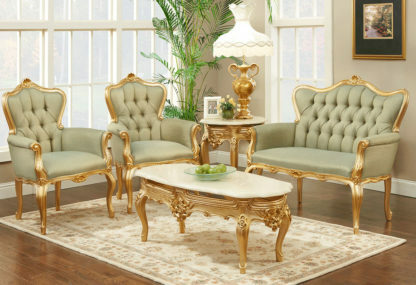 This 4 seater sofa set is made of premium quality Teak wood with Golden Deco Paint. Simple, stylish and well handcarved, provides a royal look to your living room. 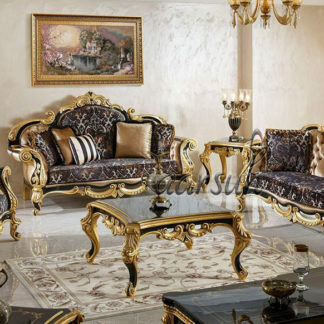 Touch of Gold provides your living area with the elegance you are always looking for. Lets check the eyes of the visitors for the appreciation of your choice and enjoy the feeling.